February, 2006: In the wake of Byron Preiss’s death in July, 2005, both iBooks and Byron Preiss Visual Productions have filed for Chapter 7 bankruptcy and ceased operations. This means that the planned iBooks reissue of Exile has been cancelled, and the availability of my five earlier iBooks editions–from me or anyone else–is in all likelihood limited to stock on hand. June 2004: iBooks brings Isaac Asimov’s Robot City: Odyssey back in the first solo edition in English in more than ten years. May, 2004: The galaxy-spanning conclusion of the Trigon Disunity future history, Empery, is reissued by iBooks in trade paperback and e-book. ISBN 0-7434-7910-6 – $11.95 Contains the bonus Merritt Thackery story “Menace,” which first appeared in Analog. March, 2004: Volume Two of the Trigon Disunity future history, Enigma, is published as an e-book and trade paperback by iBooks (Simon & Schuster). This edition contains a bonus Advance Exploration Service short story, “The Inevitable Conclusion,” originally published in Amazing Stories. September, 2002: Contract signed with iBooks, Inc. to reissue my long out-of-print Ace originals in both trade paper and electronic formats. The titles are Emprise, Enigma, Empery, Alternities, The Quiet Pools, and Exile. As a bonus, each of the Trigon Disunity volumes will contain one of the “lost stories” of Second Contact–“Antithesis,” “The Inevitable Conclusion,” and “Menace,” with introductions by A.E.S. archaeohistorian Rianth Janias. The first of the six to appear is Emprise, in November, 2003. October 29, 2002: Vectors, my first solo novel in ten years, hit the bookstores as a Bantam Spectra paperback original. March 21, 2002: Editions du Rocher publishes volume two of their translation of The Trigger as Le feu aux poudres, tome 2: L’Enrayeur. Translation by Guy Abadia. Still not seen are editions from RCS Libri (Italy) and Bard (Bulgaria). Please let me know if you spot any of them for sale! October 18, 2001: Editions du Rocher publishes the first volume of their translation of The Trigger as Le feu aux poudres, tome 1: La détente. October, 2001: The first translation of The Trigger to reach my hands is the Polish edition from Amber’s Mistrzowie SF I Fantasy imprint. The translators are Radoslaw Januszewski and Maciej Szymanski; the ISBN, 83-7245-639-9. February 2001: Barry and Sally Childs-Helton’s Tempus Fugitives CD is released by Dodeka Records. This CD reissue of material from Paradox and Escape from Mundania includes my Roland D-20 synthesizer work on several tracks. January, 2001: Polish rights to The Trigger are acquired by Amber. 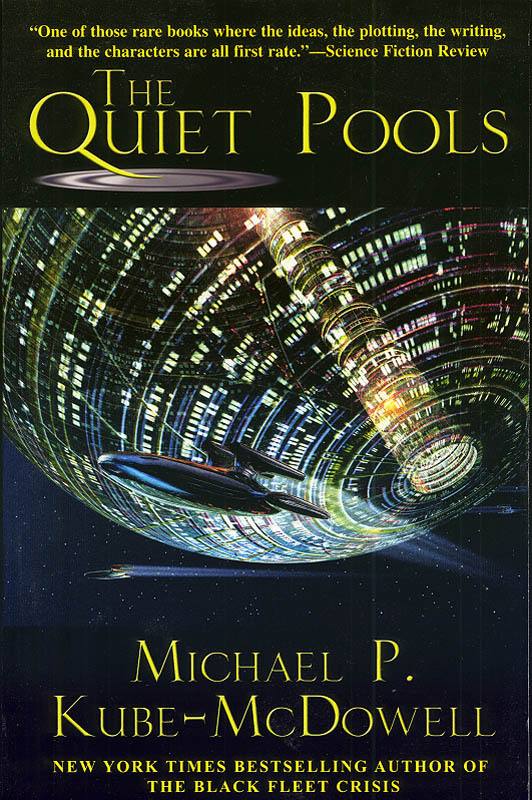 December, 2000: Italian edition of The Quiet Pools published by Fanucci Editore as Progetto Diaspora. The translator is Elisa Villa, and the ISBN is 88-347-0783-4. November 20, 2000: UK paperback edition of The Trigger published by HarperCollins. 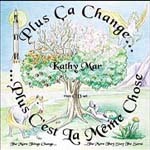 November, 2000: Kathy Mar’s cassette albums Plus Ça Change (Thor, 1988) and Plus C’est la Même Chose (Thor, 1990) are re-issued in a double CD set by Dragonsgate Music. Preserved by this noble archaelogical undertaking are my viola, piano, synth, and backup vocals on several songs. September, 2000: US paperback edition of The Trigger published by Bantam Spectra. July, 2000: Japanese rights to The Trigger are acquired by Hayakawa. June, 2000: Czech rights to The Trigger are acquired by Baronet. May, 2000: The Trigger is issued by Spanish publisher Emecé as Factor Detonante. May, 2000: My essay “Divining the Mind,” published in the December 1999 issue of School Planning and Management, received the 2000 Distinguished Achievement Award (Editorial) from The Association of Educational Publishers. A tip of the K-Mac hat to Janet Coburn, without whose initiative the essay would never have been written. March, 2000: The New York Public Library names The Trigger to its “Books For the Teen Age” list as one of the best books of 1999. Interviewed by iUniverse.com and GalaxyFarAway.com. February, 2000: French rights to The Trigger are acquired by Editions du Rocher. January, 2000: The Trigger is an Editor’s Choice selection of the Science Fiction Book Club. December, 1999: Italian rights to The Quiet Pools are acquired by Fanucci Editore. November, 1999: Isaac Asimov’s Robot City: Odyssey is reissued in a handsome trade paperback edition (combining Robot City Books 1 and 2, the latter by Mike McQuay) by Simon & Schuster’s ibooks imprint. November 15, 1999: Italian rights to The Trigger are acquired by Rizzoli. October 18, 1999: First copy of the British edition of The Trigger reaches my hands. May, 1999: Bantam confirms The Trigger for hardcover publication in December, 1999. HarperCollins UK slates its edition for November, 1999. 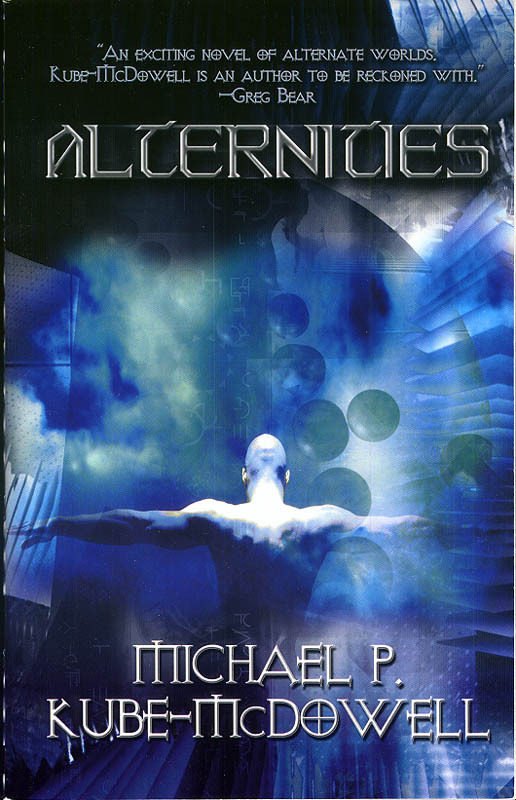 March, 1999: Heyne acquires German rights to publish Arthur C. Clarke and Michael Kube-McDowell’s 180,000-word near-future thriller The Trigger. March 1999: French edition of Star Wars: The Black Fleet Crisis published by Flueve Noir. January, 1999: Heyne publishes Das Exil (Exile), the last of the four “E” novels comprising the “Trigon Disunity” future history.